In the wake up public outcry about rising price of almost across the board of goods and services, political observers see the situation brewing into a point of contention for Prime Minister Dato’ Sri Mohd. Najib Tun Razak. The resentment does not only come from general public at large but also from the party. Malaysian Prime Minister Najib Tun Razak enters 2014 beset by growing hostility from both the public and within his own political party, the United Malays National Organization, characterized by a deluge of New Year messages across cyberspace celebrating the “year of barang naik,” Malay language for rising prices of items. Najib is making an astute move now, after national and intraparty elections have been completed, taking on the necessary but unappetizing task of dismantling decades of subsidies that have driven government debt close to the statutory limit of 55 percent of gross domestic product. In the wake of both sets of elections, he is temporarily invulnerable to both opposition and intraparty assaults. In addition, many in the party rank and file are still furious over widespread spending to keep the current leadership in place in the September intraparty elections. That has brought the prime minister under unprecedented attack from bloggers aligned with the wing of the party controlled by former Prime Minister Mahathir Mohamad, who are delivering an extraordinary onslaught on his lifestyle and that of his wife, even going so far as an unprecedented call for attention to corruption within UMNO itself. The attacks had been expected from the time Najib blocked Mahathir’s son, Mukhriz, from becoming one of the party’s three vice presidents in the September polls. Najib has sought to deflect criticism, saying the price hikes have been caused by factors such as the global economy and extreme weather that cut into the fish catch and drove up the price of vegetables. The government has also sought to spread the pain by cutting government ministers’ allowances by 10 percent, banning civil servants from business class flights, restricting expenses on official government functions. However, that hasn’t mollified voters, who staged public protests over New Year’s. Najib also enraged voters by leaving for most of the holidays, going to Las Vegas and other watering holes with his wife, Rosmah Mansor, whose free-spending ways have alienated large swaths of the conservative Malay Muslim community. He is being called “Mr Nowhere” because of his absences from the country. Calls have been rising to have Mahathir come back to the government administrative center of Putra Jaya as an “adviser” to right the ship, something that appears highly unlikely. Mahathir himself made light of the idea. In the meantime, bloggers who have been described as aligned with Mahathir have been raising their game, making broadly based attacks on Najib and even other UMNO officials, calling attention to what appears to be corruption in the award of highway contracts. Kadir Jasin, a former New Straits Times editor and close longtime Mahathir ally, wrote recently that “To many UMNO leaders, the measure of the party’s success is big cars, big houses and expensive watches whose names they can’t even mention.” In particular, Rosmah has been criticized repeatedly for her taste in vastly expensive watches. Kadir also called attention to “people with no formal appointments and duties (who) are known to use government on pretext of serving the country,” an apparent reference to Rosmah’s November commandeering of an official government jet to fly to Qatar to attend an international forum. On 30 December 2013, Prime Minister Najib announced the first round of 11 points ‘austerity drive’ which many saw as insincere, amidst the ostentatious and opulence lifestyle of the first couple globe trotting in super luxury at the expense of taxpayers’ coffer. The Federal Government has been spending a little bit too much on operations, managing and running the country. 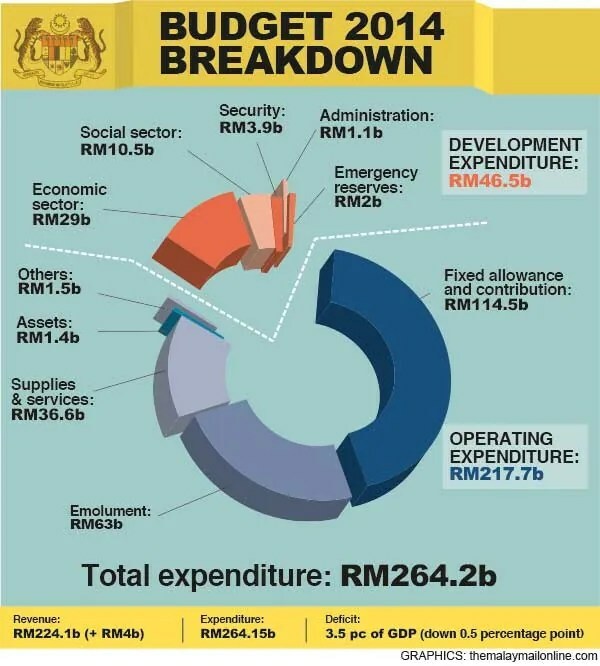 In fact, in the Bajet 2014 presentation speech in Dewan Rakyat last October, more than 82% of the RM264.2 billion proposed budget is spent on operations. For a growing and still developing economy and the need of various infrastructure projects, the development budget or CAPEX is less than 18% per annum. Even Fourth Prime Minister Tun Dr. Mahathir Mohamad sounded out on the matter and was cynical when asked to comment about the extravagance of the RM181 million per annum VVIP jet cost. He did not even announce any measures to cut down and cost saving for expenditure pertaining to the extraordinary large staffed and complemented Prime Minister’s Office (PMO) and Seri Perdana household. Not all leaders are continuing their lavish lifestyle being the Chief Executive. Conservative Australian Prime Minister Tony Abbott is adopting the economisation and cost cutting measures. Tony Abbott, Australia’s prime minister, has won praise for his frugality after travelling economy class on a long-haul flight to France. In similar fashion, Australia’s foreign minister, Julie Bishop, has insisted on flying business class rather than first class, and last year rejected her department’s plans to book her in to a £1,000-a-night hotel suite in New York. She has been branded “the iron lady” after choosing to do her own ironing while travelling. Mr Abbott’s thrifty approach is in line with his political pledges to reduce public spending and cut the civil service. He has reined in travel costs and introduced a rule that ministers must sign off on all civil servants’ expenses above £11,000. Any expenses more than £28,000 must be signed off by the prime minister himself. It is not like the Australian Government cannot afford to provide an executive jet for its Prime Minister, considering that the country is actually the size of a continent. 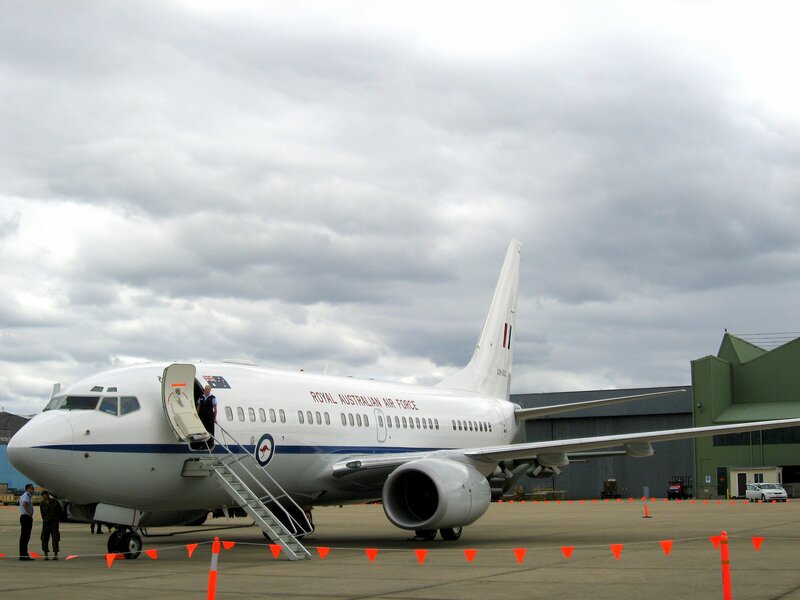 In factRoyal Australian Air Force owns and operates three BBJ and two Bombardier Challenger 604 VVIP jets. Prime Minister Abbott was making a point that he is willing to do cost saving, despite the facility exist. It is leadership by example. Prime Minister Najib has been seen to be obtuse when he condescendingly if not trying to insult the intelligence of Malaysians trying to justify that not all price of goods and services are going up and gave the price of kangkung in the market currently has gone down, in an appreciation event near Kemaman on Sunday. That brought about a series of viral punts against him using the kangkung motive. It is a clear demonstration of the seriousness how the Malaysian public of treating and reacting to any response pertaining to the escalating cost of living, especially household grocery items and goods and services. As such, the Cabinet this morning decided on the formation of a Special Cabinet Committee to address the issue. Unfortunately, it was explained with the term ‘Laboratory’. Generally, Malaysians are very suspicious when it comes to anything with the connotation of ‘laboratory’, ‘PEMANDU’ and ‘Consultants’, as the general impression that the Federal Government had been extra lavish and ostentatious in this particular expenditure. Never before the Federal Government is this unpopular and it is non political. They say whenever a problem presents itself, there would be opportunity opened up for it. In the recent growing grouses of increased rise of price of goods and services of almost across the board, Prime Minister Dato’ Sri Mohd. 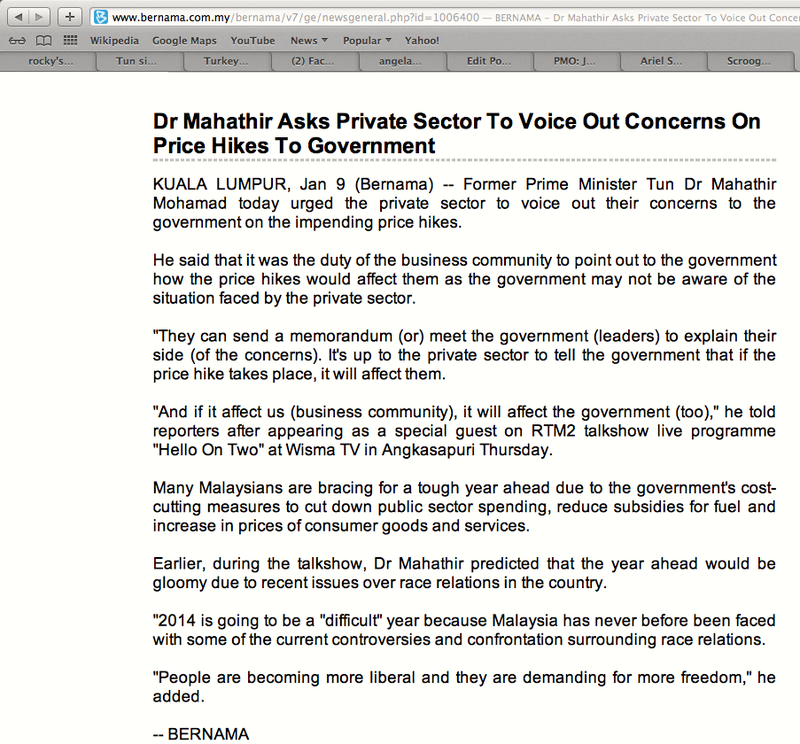 Najib Tun Razak is glad to announce the market price of some goods is actually going down. 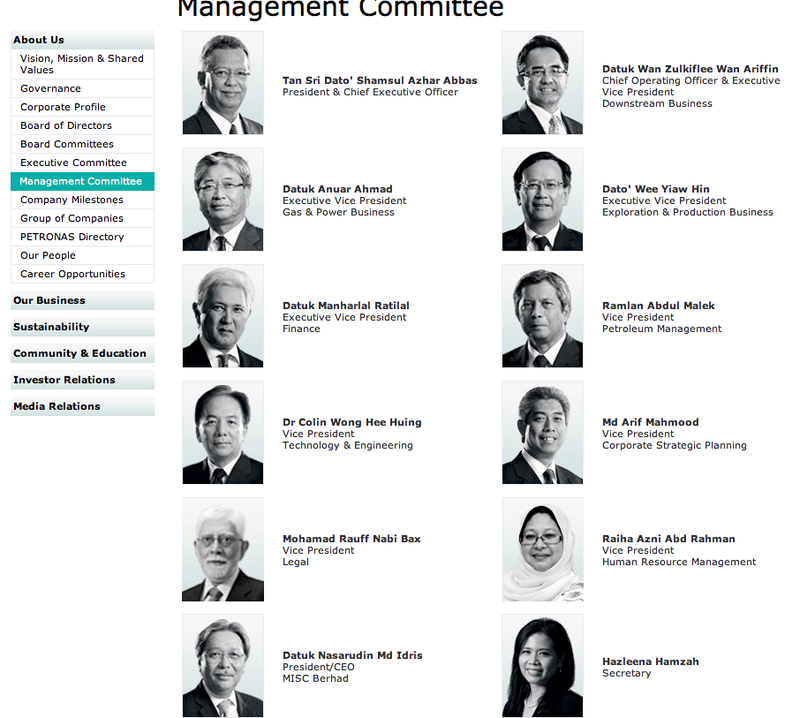 It has been learned that Khazanah National Bhd. will be venturing into kangkung in the plantation scale as an extension to Prime Minister Najib’s specific mention on how the most common South East Asian vegetable’s price at the market has gone down. This shall provide a new major opportunity for the commercialisation of seemingly the most favourite vegetable in the region. However, the project would not be executed and rolled out without the usual modus operandi of getting very expensive consultants to look into the idea, develop a suitable proposal and several alternative proposals, PEMANDU doing the necessary projection evaluation and transformation impact assessment and eventually CIMB doing the over all plan for IPO listing and exit. It is probably would be known as Kangkung Consolidated Bhd. upon listing. The initial targeted kangkung plantations size is expected to be 100,000 acres. Several key strategic partners have shown termendous interest, especially when government-guaranteed financing would be made available as this would be classified as a ‘Consolidated High Impact Priority Economic Transformation Project’ or CHIPET. A synergy business track would also be created by Khazanah to go into krill and shrimp farming. 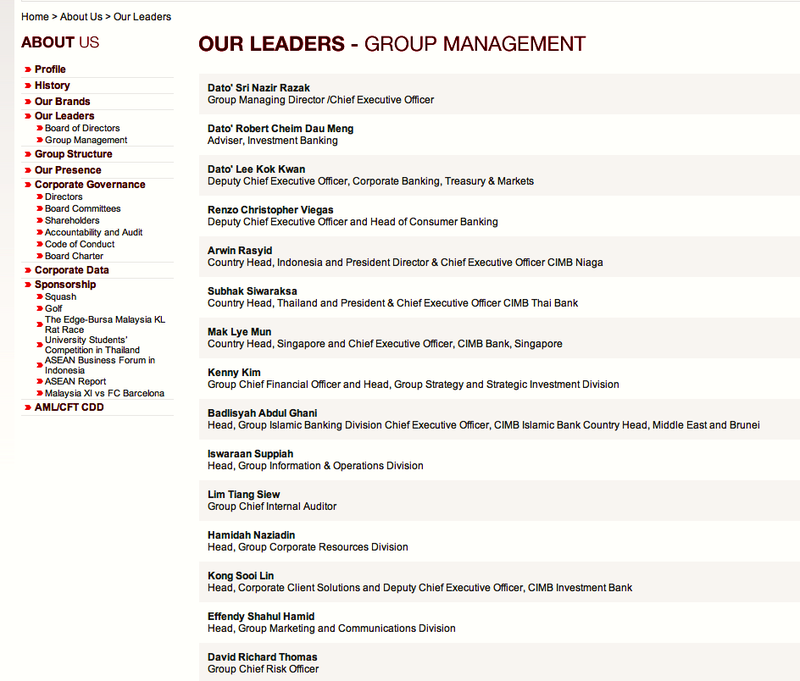 This is part of the restructuring of the prawn business that Khazanah went in, sometime back. Eventually, the two corporations could be amalgamated and consolidated. Several kangkung-based end products have been thrown in and discussed at certain quarters within PMO, although it is believed that those are still premature. What is commendable is the speed of Special Officers within PMO responding to the issues raised by the rakyat, especially in social media network and blogs. 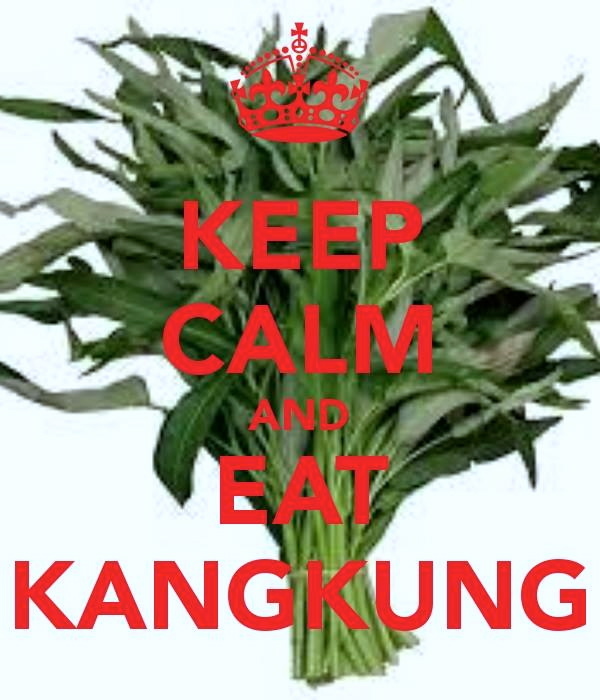 Prime Minister Najib’s acknowledgement of the market price of kangkung would be the catalyst for more consumption. A special task force lead by soon-to-be named a senior PMO aide and hand-picked team is to provide for the kangkung comprehensive business push-factor strategy. The Federal Government would eventually need to work with relevant State Governments for this agriculture-based commercial end-to-end project to work and be productive. The commitment and co-operation is necessary for initiatives such as gazzetting all longkangs and drains for kangkung growing. This should be seen as nothing less than a brilliant business strategy, capitalising and commercialising on the ‘created demand’ due to rising cost of living of late. Times are getting tough. All are asked to be brace for what is expected to be a rough 2014. Prime Minister Dato’ Sri Mohd. Najib Tun Razak and his Government (and present line up of Cabinet Ministers) are steaming ahead with the ‘rationalisation of subsidies’. First, we heard it from Minister in-charge of ‘Transformation Programs’ Dato’ Idris Jala that the Federal Government would not be able to cope with the annual subsidy of RM43billion. In 2010, he said that by 2019 if ‘business as usual’ and no transformation is made, the Federal Government coffer would go belly up. Hence, by the second half of 2013 Prime Minister Najib ‘rationalisation of subsidy’ program started. First it was the retail price of petrol and diesel up by 20 sen in September. Then comes Bajet 2014, sugar is completely subsidy free when suddenly the price shot up by 34sen per kg. Consumption tax in the form of 6% GST would be introduced by April 2015, to make up the revenue deficit. Then the announcements of electricity tariff would go up by 15% and possibility of many of the Non PLUS highways toll rates up too comes in to effect in 2014. On ground, retail prices are up across the board. Grocery shoppers already feeling the pinch that food stuff across the board gone up, be it chicken, fish, beef, fruits and vegetables. Even spices are up. Everyone is grousing. Especially the lower income bracket. The most are the lower income and lower middle income segment who are urban and suburban dwellers. Their Ringgit has shrunk termendously. Nothing to factor that their lifestyle is grossly impaired with the traffic jams they have to endure. Yes, Prime Minister Najib is kind enough to give them hand outs of RM600.00 in BR1M to families with aggregated earning of less than RM3,500.00 a month. Spread that monthly, would effectively subsidies half a week of grocery bills. By 2013, BR1M was extended to singles. He gladly announced 6 million Malaysians would benefit from this scheme. In reality, other cost is going up. Even rental and school bus fee. In a nut shell, majority of Malaysians are asked to tighten their belt and change their lifestyle. One interesting fact is that Prime Minister Najib announced his budget for 2014 at the proposed amount of RM264billion. Only RM46.5 billion is for development expenditure or CAPEX. That is 17.6% of the whole 2014 budget. 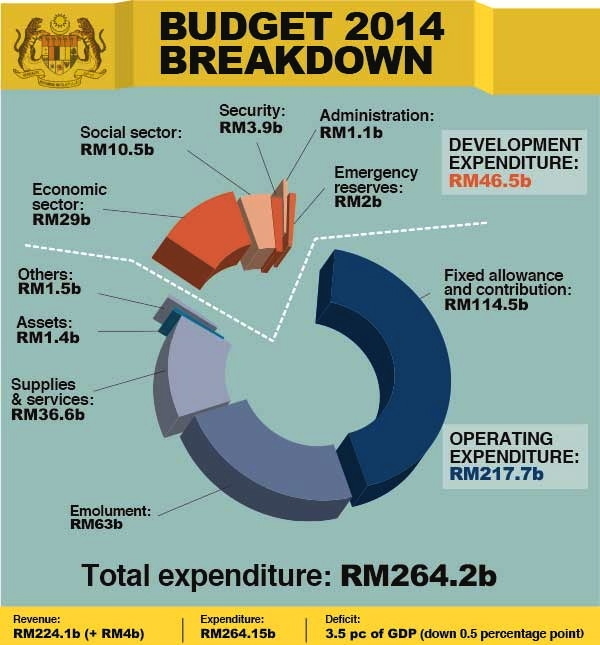 The rest which is RM217.7 billion or 82.4% is operating expenditure or OPEX. That is very huge. The 11 point austerity drive which Prime Minister Najib announced on 30 December 2013 has been seen as ‘insincere’ to substantially reduce OPEX and budget deficit, considering the VVIP travel bill is actually much more than the savings possibly derived. It is actually pittance and should considered as an insult to the bigger majority, finding it toughrer to make ends meet in these days where almost everything is up. The other side of the field is totally different. Here you have PMO admitting that the Malaysian Government last year spent RM181 million to lease and maintain aircrafts for VVIP travels, especially for the Prime Minister and consort. How could Prime Minister Najib stomach the fact that he started the vow “Rakyat diutamakan“, is facing a tougher living when the kind of money was splurged on his convenience, comfort and luxury should be seen as nothing but sinful. The decision to abolish and do away with very important tools for internal security and strategic apparatus of maintaining peace and harmony the Internal Security Act (ISA) and Emergency Ordinance (EO) is one of Prime Minister Dato’ Sri Mohd. Najib Tun Razak’s landmark catastrophic acts as the sixth Prime Minister. The top cop was very frank and bold about it. “Yes, the Security Offences (Special Measures) Act 2012 is sufficient, but what is wrong with the ISA?” Khalid asked. Khalid’s sentiments appear to echo a suggestion by former prime minister Tun Dr Mahathir Mohamad that the government bring back the ISA to control the “extremist minority” who, he said, has undermined the country’s stability. “For extremists like this group, we need the ISA,” Dr Mahathir told reporters yesterday after appearing as a guest on the RTM2 ‘Hello On Two’ programme, which was aired live at Wisma TV, Angkasapuri, KL. Reviewing 2013 at a glance, Khalid said he was disappointed with the number of illegal rallies and demonstrations which were staged last year. “There was a total of 26 illegal rallies and demonstrations, including one on New Year’s Eve protesting against price hikes,” Khalid said. “Last year was a challenging year with the general elections, the Lahad Datu incursion and the street demonstrations,” he said. He pointed the finger at the opposition for stirring up public sentiments on various issues, including Lynas, human rights, price hikes, assessment rates and study loans. “The opposition played on public sentiments and rallied them against the ruling government,” Khalid said. “The Peaceful Assembly Act 2012 was drawn up so that the public can have space to voice their frustrations and dissatisfaction. Khalid said certain quarters wanted police to call up the Federal Reserve Unit, complete with batons and water cannons. “Later, they will blame the police for being violent, brutal and disrespecting human rights,” he said. “We know how to handle these demonstrations. It is provided for under the law and we will take the necessary measures,” he added. – January 10, 2014. Prime Minister Najib believed that Malaysia should move forward and so called ‘archaic and draconian laws which impede on human rights issues’ such as ISA and EO would not be popular with the minority (especially the Chinese) and growing younger Malaysians. Yet, despite these laws being repealed and abolished since 2012, neither the Chinese nor the bigger younger Malaysian populous politically supported the Federal Government. In fact, Prime Minister Najib as the Barisan Nasional Chairman faired worst since the coalition party was incepted by his father 40 years earlier to replace the Alliance Party. Historically, these so called ‘draconian laws’ were incepted and democratically elected to ensure peace and harmony is maintained and a tool for internal security against radical, extremist, subversive and militant elements. One of the objectives for ISA when it was introduced in 1960 and passed by Parliament, was to protect the nation from subversive and militant force such as communist rebellion which by then, had gone underground. The communist rebels and terrorists and their supporter, the Min Yuens, started to move within the typical then Malayan communities and worked their ways via subversive movements. Almost all of them were Chinese ethnic. The act, plus EO managed to curb and reduce the effect of subversive efforts guised under the cloak of the ‘right of expression’ and ‘democracy’, from the perspective of the practice to allow open rally and assembly. 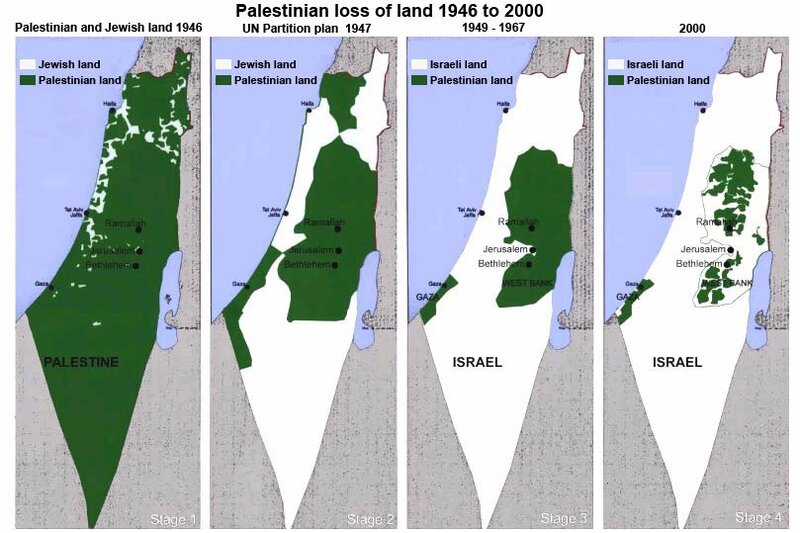 Never the less, the negative direct result is clearly demonstrated in the 13 May 1969 tragedy. Still, the racism overtone by Chinese Chauvinists like DAP leaders persists. Since then, ISA and EO have been very effective. Later, its utility was extended to religious deviants and militants and government employees who were part of efforts to weaken the internal security. IGP Tan Sri Khalid Abu Bakar is spot on. Doing away with ISA and EO and allowing more ‘democratic practices’ such as the loosening the tight on right of expression and public assembly did not alleviate progress for the process of nation building. In fact, it deteriorated further. Those who opposed these so called ‘draconian laws’ actually never intended to respect or adhere to the rules of new laws such as the Public Assembly Act. They remained defiant, as what they were. What made it worse is that it is believed that Prime Minister Najib is also ‘soft’ against these law breakers. Police continued to make arrests and mount investigations on these law deviants but very few of them were actually charged. Even those who clearly committed criminal defamation and seditious acts. A clear example is FMT writer Mariam Mokhtar who maliciously accused UMNO of “Torching churches and created havoc in the community” when High Court Justice Lau Bee Lan decided for the Catholic church Herald in 2009 on the kalimah “Allah” case against the ban imposed by Home Ministry. KOTA KINABALU: Inspector-General of Police Tan Sri Khalid Abu Bakar has warned freemalaysiatoday.com’s columnist, Mariam Mokhtar, from writing articles that can be deemed seditious. He was displeased with her article, entitled “One Ideology, Two Reactions”, published on the portal yesterday, in which she questioned the government’s discriminating treatment on the return of two Malaysian-born communist radicals — ashes of the deceased Malayan Communist Party leader Chin Peng from Bangkok, Thailand and Siti Aishah Abdul Wahab, who had been influenced by the political ideology and was allegedly held as a slave in London for 30 years. “She (Mariam Mokhtar) had better watch out or we will go after her. “This (article) is highly seditious. Don’t publish just to attract people to visit your website. That can also be an invitation for us (police) to come and apprehend you,” he told reporters after the opening of the Security and Public Order Seminar here today. The seminar was opened by Sabah Chief Minister Datuk Seri Musa Aman. Khalid was disappointed that the columnist could not differentiate the degree of the offence committed by Siti Aishah and Chin Peng. “Even an uneducated person understands why the government allowed Siti Aishah to return home and not Chin Peng’s ashes. It is not because one is a Malay and the other, a Chinese. 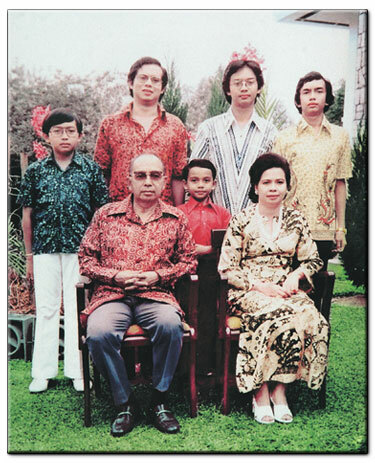 “Chin Peng was involved in armed struggle, while Siti Aishah purely adopted a leftist ideology. Tell me how many people has she killed?” he asked. Khalid said no action would be taken against Siti Aishah should she return to Malaysia on the grounds that she was already 69 years old and that her offence was committed a long time ago. Regarding Siti Aishah’s citizenship, he said police were still waiting for a report from the United Kingdom on whether or not she had given up her Malaysian citizenship during the 45 years she was in the European country. There hardly any actions taken on the vast provocations and insults against the position and role of Islam as the Religion of the Federation of Malaysia, HRH Rulers as Constitutional Head of Islam and the administration of Islam and Syariah Courts which tantamount to sedition. It is amazing the compounded pressure of the Malay-Muslim majority being tested, challenged, provoked and insulted by the minority, particularly the Chinese, have not burst. Make no mistake about the will of the Malays. When push comes to shove, they would stand up and fight back. In a nut shell, they have been very tolerant and obedient because it is the nature of the Malays that they respect their leaders and authority. Then again, all these have its limits. At one point, they would eventually distrust the system and authority that they put their trust on would act in the interest of the righteousness and the Federal Constitution that they played pivotal role to incorporate. Instead, they would probably take matters to their own hands. The sooner Prime Minister Najib realise and comes to term with that, the faster the nation could get on the track of moving forward. The future has arrived. Malaysia, eventually reached the ‘High value economy’ status head of schedule. In not so many words, Fourth Prime Minister Tun Dr. Mahathir Mohamad said this when he is asked to comment the recent Malaysian Government VVIP jet controversy. Malaysia’s longest-serving Prime Minister, Tun Dr Mahathir Mohamad (pic), said he had no need for a big luxury jet during his tenure but felt the current government may have more funds and as such, was in a position to indulge in such luxuries. Dr Mahathir said during his 22 years as prime minister, he had even downgraded his jet during the early years of his tenure when there was a slump in the economy. “In 1981, I inherited a Boeing 737 from the previous PM. He had problems travelling so I can understand why he has to have a big plane. “I used the plane for a short while and I asked them what is the cost. They told me it will cost the government RM2 million a year. Then we sold the plane, I need a small plane. So it was reduced to a Challenger,” he told reporters after being interviewed in conjunction with his 10 years of retirement. Last year, the Prime Minister’s Department told Parliament that Putrajaya now owns at least seven planes, including a Boeing Business Jet. 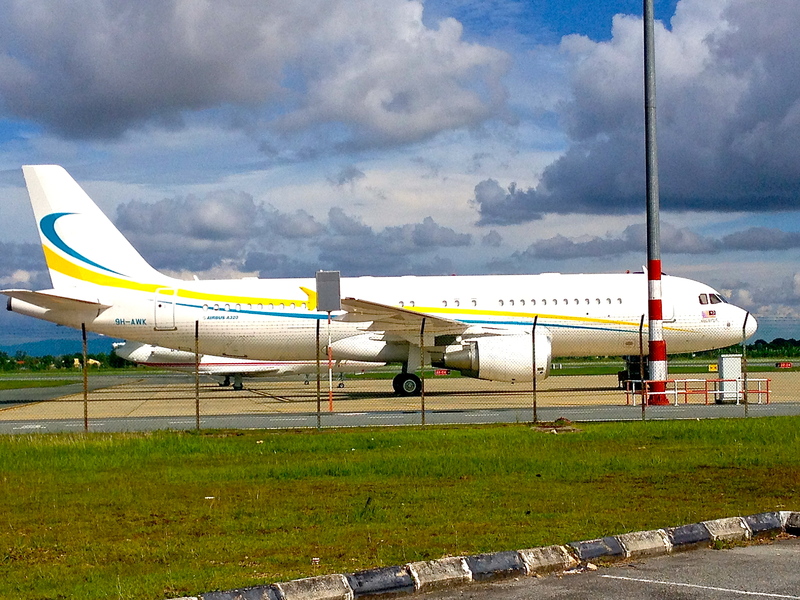 The aircraft are for use by VVIPs including the Yang di-Pertuan Agong and the prime minister. They comprised a Falcon, Global Express, Boeing Business Jet, Blackhawk, two Augustas and a Fokker F28. Minister in the Prime Minister’s Department Shahidan Kassim last year told the Parliament in 2013 that Putrajaya spent RM14.95 million for fuel and RM160.08 million for maintenance of the jets. Dr Mahathir remarked that the small fleet of planes should not be an issue today. “The government is much richer than during my time, then maybe they should upgrade” he said. Putrajaya’s jets attracted the attention of pro-Umno bloggers last week who demanded to know if Najib’s two luxury jets are in service, as an Airbus ACJ320 was reportedly leased to the government. Putrajaya replied that the lease of the Airbus ACJ320, which began on February 1, 2013, ended on December 31 last year. It said the lease was necessary as the government faced a shortage of jets. – January 9, 2014. That is a typical sarcasm from the Statesman, incase any of the PMO officials who are supposed to handle media and communications completely missed the punt. 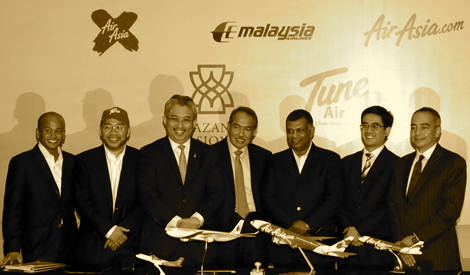 During the Bajet 2014 debate in November 2013, Minister in Prime Minister’s Department Dato’ Seri Shahidan Kassim said in Dewan Rakyat that the Federal Government spent more than RM181 million in rental and maintenance cost to provide VVIP travel using executive jets for His Majesty Seri Paduka Yang DiPertuan Agong and Prime Minister of Malaysia. KUALA LUMPUR, Jan 4 — Under fire from pro-Umno bloggers, the Prime Minister’s Office (PMO) has defended the rental of an Airbus ACJ A320 last year as a necessity security measure to plug a shortage of government aircraft to fly the King and other government leaders on official trips. 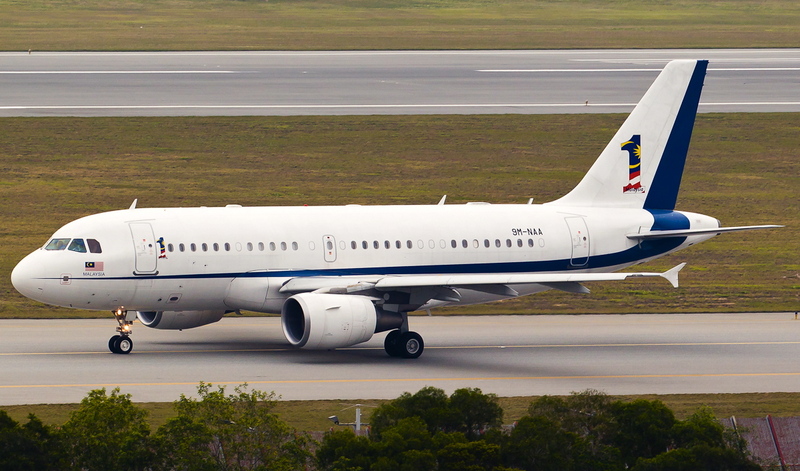 In a statement published by several news companies today, the PMO said the government had previously owned five jets — the ACJ A319, BBJ, Fokker F28, Global Express and Falcon 900 — which were for not just for the use of the prime minister, but also to accommodate the Yang Di-Pertuan Agong, state governors, ministers and their deputies, senior government bureaucrats and other dignitaries, including foreign guests of the government on official business. “Use of the special aircrafts enable the head of state and the head of government to move domestically and abroad with greater security. “Apart from that, members of the administration who are busy with various work will not be bound by commercial airline schedules besides taking into consideration national image and interests,” the statement said. The PMO justified the government’s decision to rent another aircraft after three of the five were grounded. It said that one of the jets, a Fokker F28, was decommissioned in August 2012 as it was past 30 years of age, and had not been replaced. It added that last year, two other airplanes, the BBJ and ACJ319, were sent in for their scheduled mandatory maintenance, which further compunded the shortage problem as the checks took longer than expected. “In line with that, the Prime Minister’s Department, which is responsible for the management of the Government’s special aircrafts, decided to rent another ACJ A320 aircraft to accommodate the lack of aircrafts. “This ACJ A320 was rented between 1 February – 31 December 2013 after it was found that the BBJ required more time for maintenance,” it said. The Najib administration had been hit by friendly fire this week after several pro-Umno bloggers criticised its spending on a provate jet to ferry government officials on domestic and overseas trips after slashing subsidies and urging Malaysians to tighten their belts. The statement from the PMO also appeared to differ slightly from the government’s reply on the number of aircrafts it owns. In a written reply to Seremban MP Anthony Loke last November, Minister in the Prime Minister’s Department Datuk Seri Shahidan Kassim said the government owns and operates six private jets known as Government Executive Jets (VVIP). Shahidan also revealed that the government spent more than RM180 million for fuel and maintenance to fly private for official trips in 2012. “For the cost of fuel for all aircrafts used in 2012 is RM14,951,448 and RM167,079,541.80 was spent on maintenance costs,” he said in his written reply on November 7, 2013. In October 013, Shahidan said in a written parliamentary reply to Taiping MP Nga Kor Ming that Putrajaya spends RM28.8 million in annual rental and RM5.5 million to maintain the VVIP government jet ACJ319, the private aircraft used to ferry prime ministers much like the Air Force One in the US. “To ensure the VVIP government jet ACJ319 remain in a good condition and has the highest level of safety, the government has spent US$25.2 million (RM80.12 million) in rental costs, RM16.52 million for maintenance and RM3.32 million for modification works from the year 2010 to last year,” Shahidan said in his reply. Then on the early hours here in BigDogDotCom, it was raised about the high probability that the Malaysian Government leased an ACJ320 VVIP VVIP jet from Malta-based executive jet charter Comlux Aviation. It quickly drew a lot attention and became viral. PMO responded within the end of the same day of business, amidst the controversial raised to the exorbitant spending for VVIP. This is when in so many quarters the Malaysian public explicitly expressed their utter displeasure to the rise in cost of living, after the rise of petrol and diesel, sugar, grocery products and expected electricity tariff and tolled road rates. Part of the ‘rationalisation of revenue’ for the Federal Government is Prime Minister Najib’s announcement of the introduction to consumption tax in the form of 6% GST, scheduled from April 2015. Typical of a populist political leader, Prime Minister Najib announced what seemingly is a ‘Penny wise, pound foolish’ 11 point austerity drive on 30 December 2013. Probably his advisers had the believe if not the impression that more people are probably gullible enough to accept the sincerity to reduce spending and cost of Federal Government. Despite the controversy and response, it was business as usual for PMO which is taking care of the needs of Prime Minister Dato’ Sri Mohd. Najib Tun Razak. This include his private matters. On Sunday afternoon Malaysian time, it was captured that the ACJ319 VVIP jet commonly dubbed as “Perdana 1” or “NR1” as a call sign, is actually owned by Penerbangan Malaysia Bhd. and operated and maintained by Jet Premier One Sdn. Bhd., was in LAX. It is believed that Prime Minister Najib was in Los Angeles over the New Year holidays, for a break and not an official or working visit. That round trip from Kuala Lumpur must have easily cost PMO over RM1.2 million in rental, maintenance, fuel, F&B and other related direct charges. The fact that the Malaysian Government lease the ACJ319 VVIP jet with the 9M-NAA tail number from Penerbangan Malaysian Bhd., a company at ‘cost plus’ basis and the operation and maintenance of the aircraft is carried out by Jet Premier One Sdn. Bhd., added to the cost as opposed if it was under the RMAF. Both companies would have incorporated their own margin. Six and half hours ago, Turkish Prime Minister Recep Tayyip Erdogan arrived in KLIA for a two day official visit. Apparently, the leader of the NATO and EU nation flew on a Turkish Airlines B777-300 which is believed to be chartered instead of a dedicated VVIP executive jet. Turkey Prime Minister Recep Tayyip Erdogan with his wife, Emine Erdogan, arrives at KLIA, welcomed by Foreign Minister Datuk Hamzah Zainuddin (right) and Deputy Finance Minister Datuk Ahmad Maslan (left). SEPANG: Turkey Prime Minister Recep Tayyip Erdogan arrived at the Bunga Raya Complex, Kuala Lumpur International Airport, here, at about 8pm Thursday for a two-day official visit to Malaysia. He was accompanied by his wife Emine Erdogan and a 97-member delegation including the Turkish deputy prime minister, European Union affairs minister, economic minister, energy and environment minister, and youth and sports minister. They were welcomed on arrival by the host country’s Deputy Foreign Minister Datuk Hamzah Zainuddin and Deputy Finance Minister Datuk Ahmad Maslan. The visit is at the invitation of Prime Minister Datuk Seri Najib Tun Razak and is part of Erdogan’s visit to Asia, which includes Japan and Singapore. It is also in conjunction with the 50th year anniversary of Malaysia-Turkey relations which were established in 1964. Erdogan is scheduled to attend the official welcoming ceremony at Perdana Putra in Putrajaya Friday, followed by a closed-door meeting with Najib before both leaders lead their respective delegations at a bilateral meeting. Najib and his wife Datin Seri Rosmah Mansor will host the official dinner in honour of Erdogan and Emine at Seri Perdana. The Turkish prime minister is also scheduled to deliver a lecture on “Transforming Asia Pacific and Turkey” as part of the Tun Abdul Razak lecture series, organised by the Transformation Research Foundation and Razak School of Government. In the recent official visit to China, British Prime Minister David Cameron arrived on a Virgin Atlantic A340. It is believed, it was a chartered flight too. It is unacceptable that so much tax payers money is spent for the pleasure, comfort and convenience of VVIP travel when Prime Minister najib over and over again reiterate that the Malaysian Government need to ‘rationalise subsidy’ costing annually RM43 billion and the ‘buck is being passed’ to Malaysians, especially the middle class. Even Tun Dr. Mahathir sounded out on how the Malaysian Government is lavish and not observant on spending and cost of running the business as the government. He had asked the private sector to clearly voice their concern of the rising factors of production. Higher cost of production equates to products would no longer be competitive, amidst the more active regional neighbours which could offer lower cost of production. Inadvertently, the GDP would not go up to the level that Prime Minister Najib and his advisers envisaged. Hence, achieving the ‘High Value Economy’ would not be able to be realised soon enough. They say charity begins at home. Unless Prime Minister Najib could ‘rationalise’ with facts that the Federal Government’s revenue have significantly increased and they are able to manage the ‘rationalisation of subsidies’ much better without passing the burden to the rakyat, then they should stop the opulence. It is a sin for an elected leader to live in utter luxury, at the expense when so many upper lower income and lower middle class rakyat especially in the viscous cycle of urban poverty trap facing the hardship of rising cost and making ends meet.